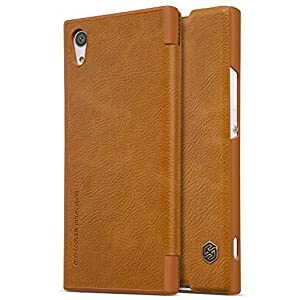 -- Qin leather case uses superior natural texture leather bringing the case superior sense of touch, developed a new honorable and baron style. -- Soft delicate lining, anti-skid and dirt-proof, fashion and helpful. -- Traditional flip Leather cover designed that provide your cell phone 360 degree security. -- Custom-made withins a slot for you to place your card hassle-free. -- The Special details style of the slot, nickel screen, LOGO DESIGN reveals the elite style.